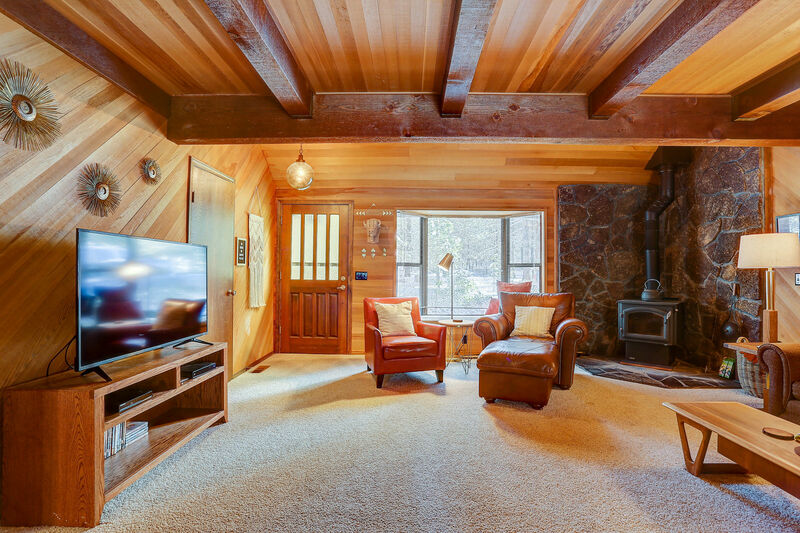 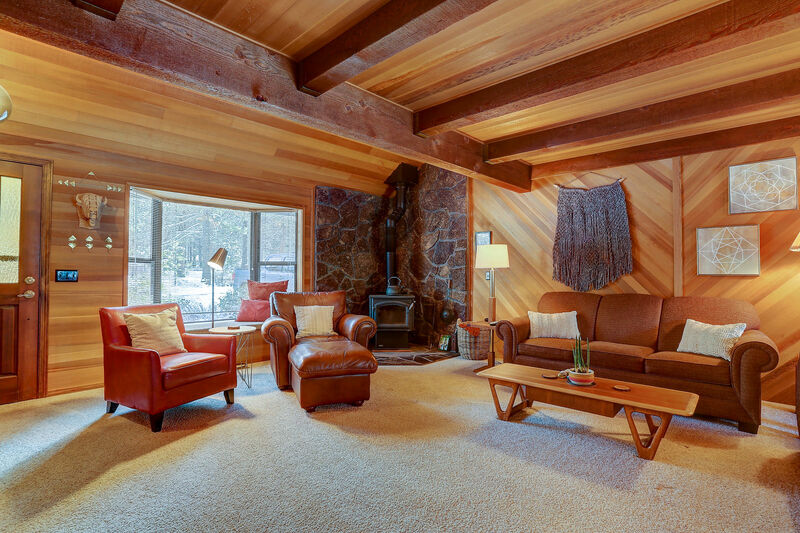 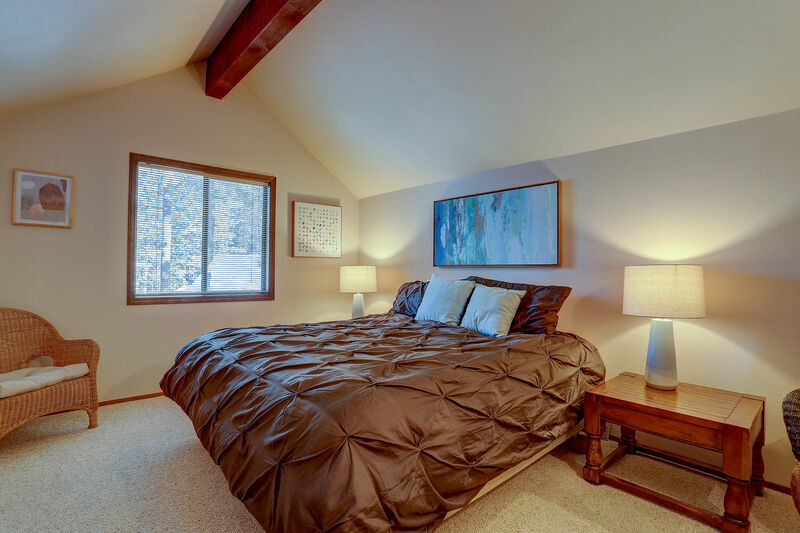 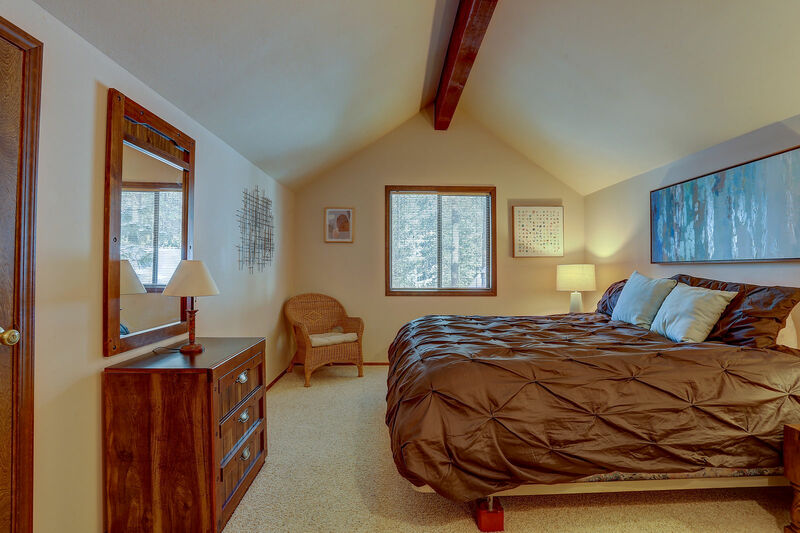 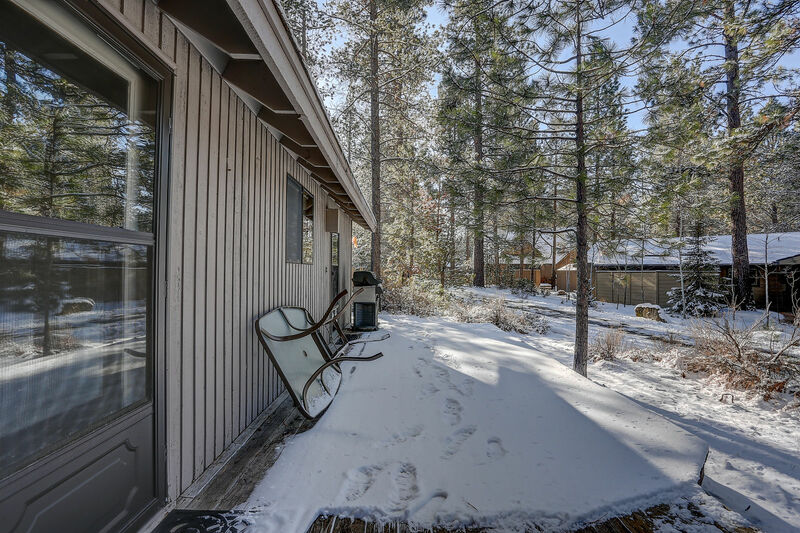 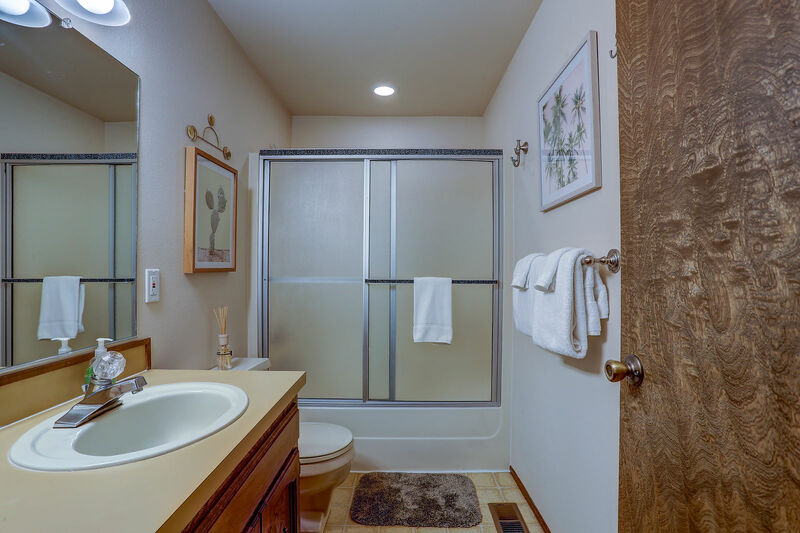 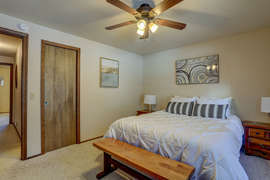 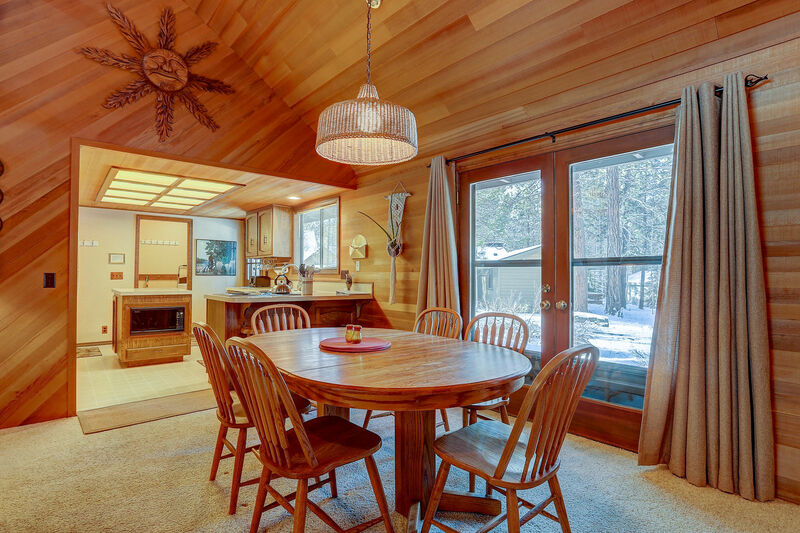 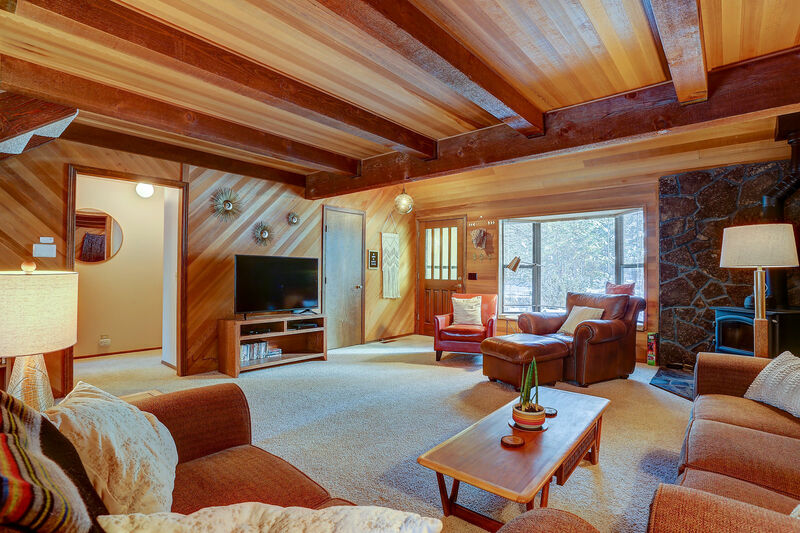 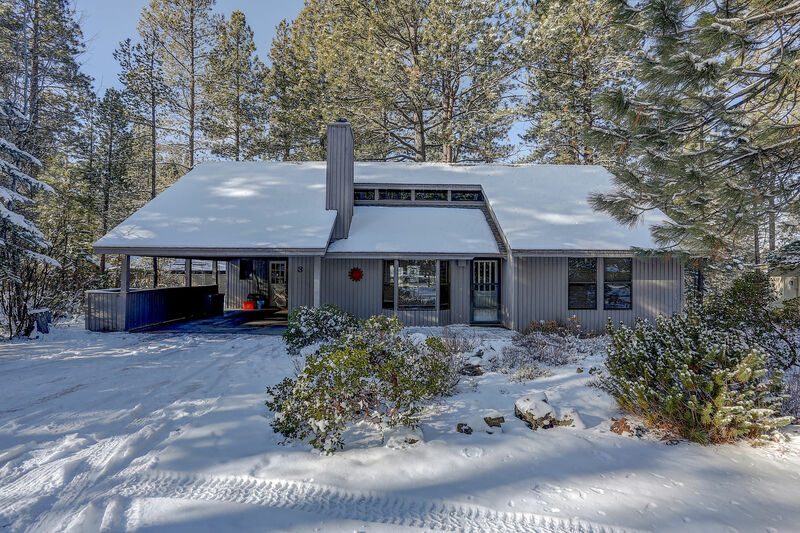 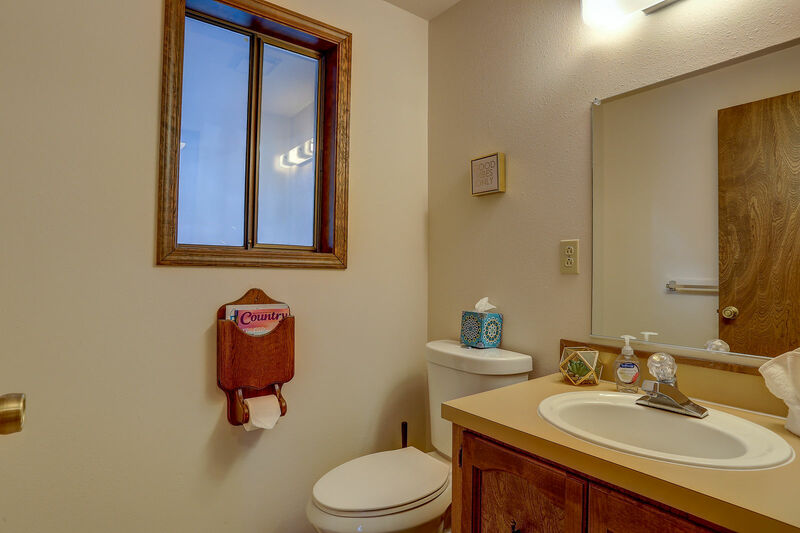 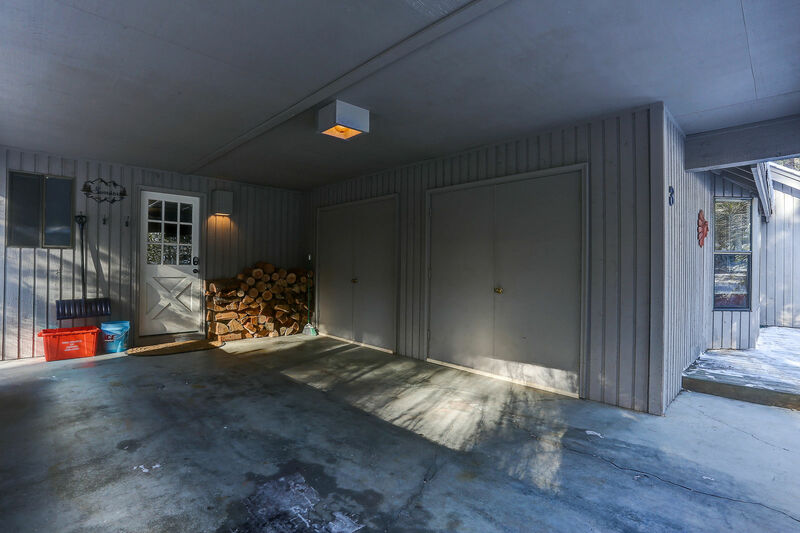 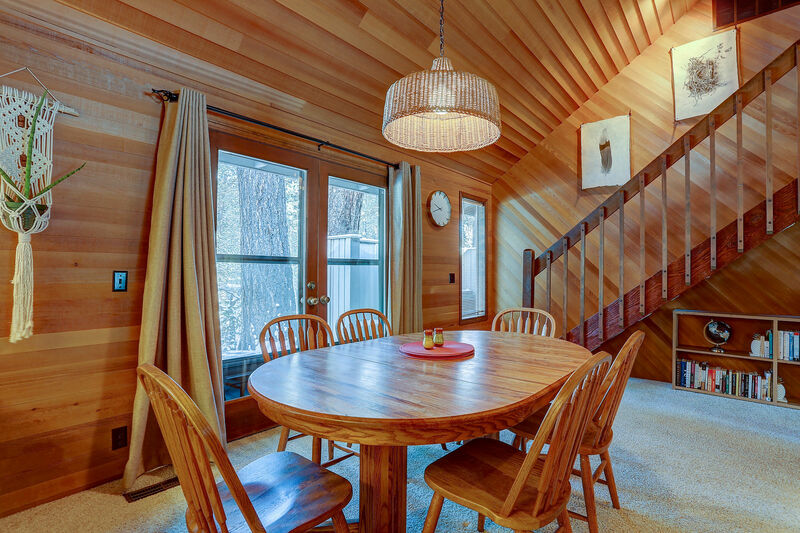 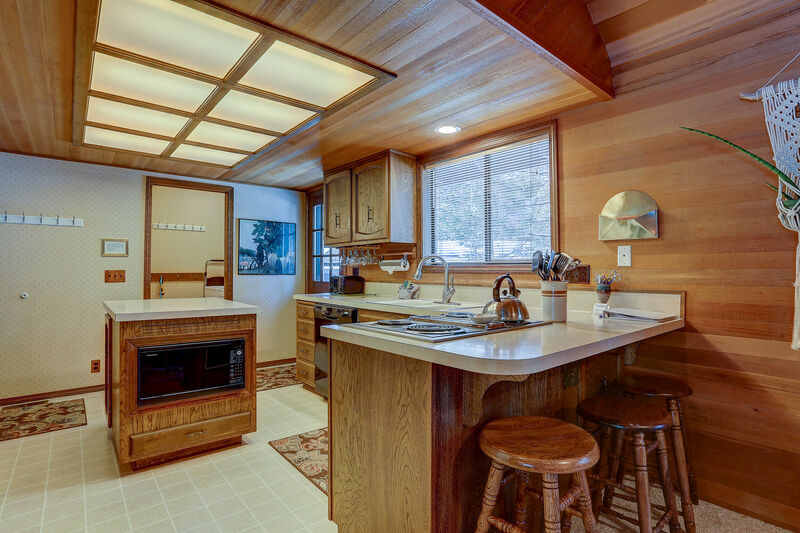 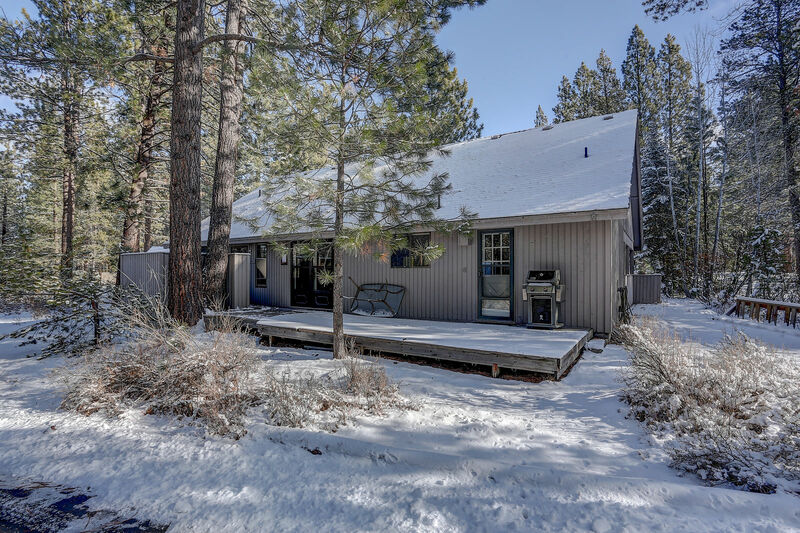 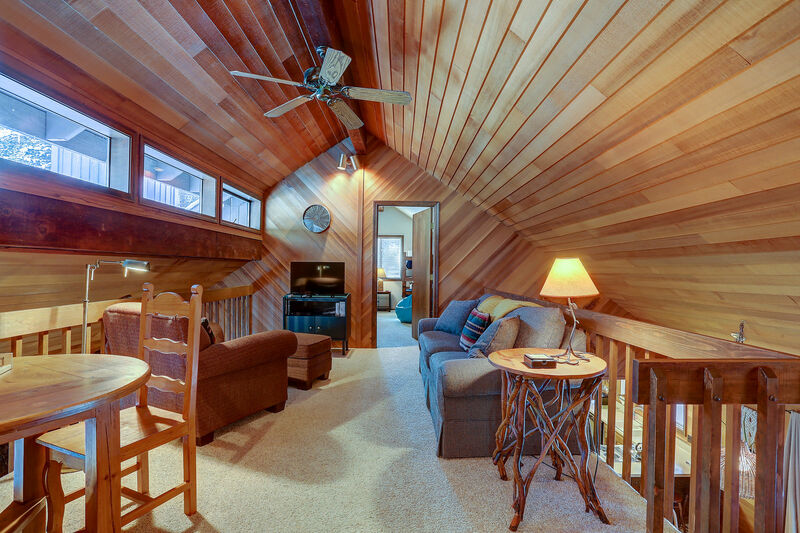 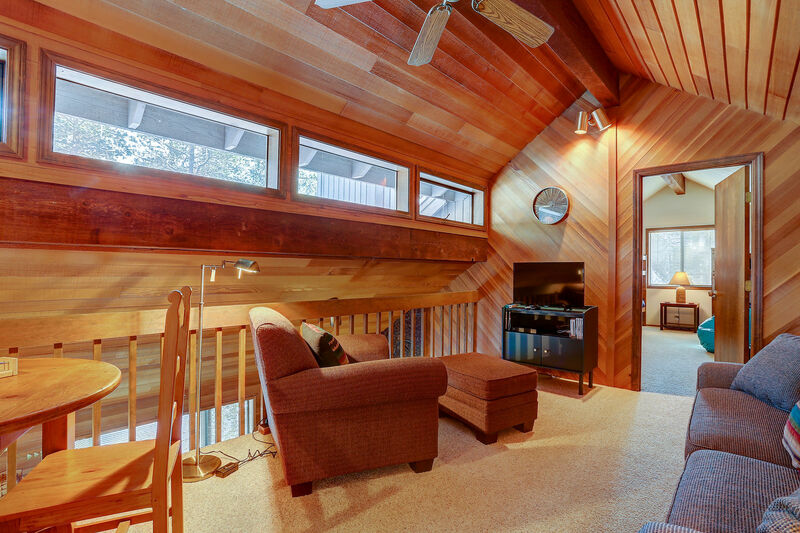 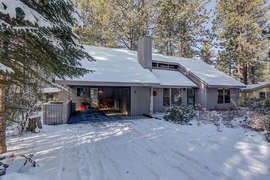 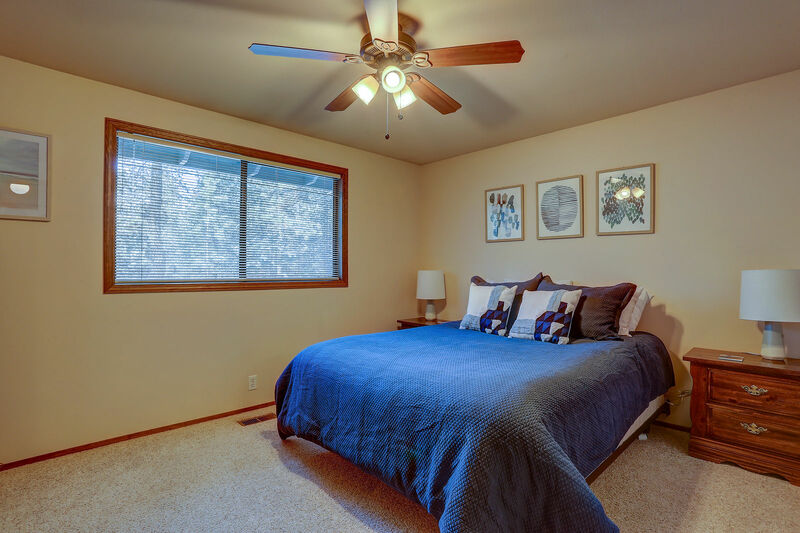 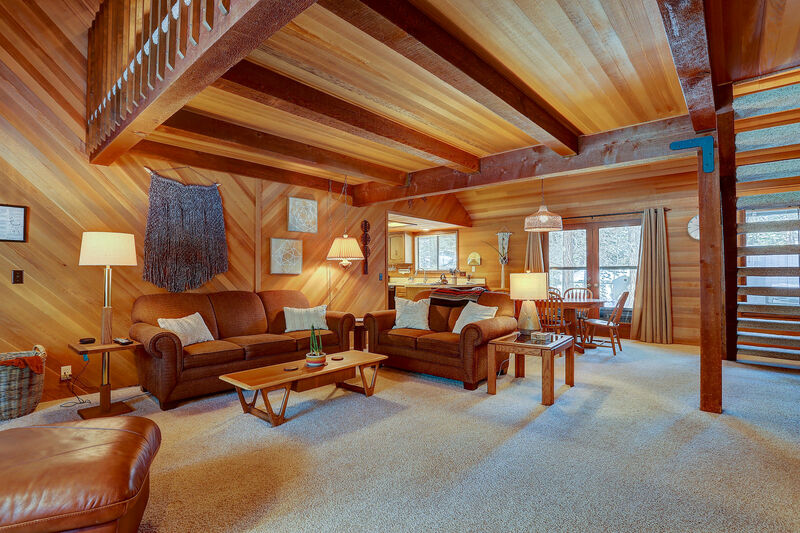 If you are looking for a Sunriver Cabin that is ideally located near the Village, SHARC and bike path, and is pet friendly...look no further - this is the one for you! 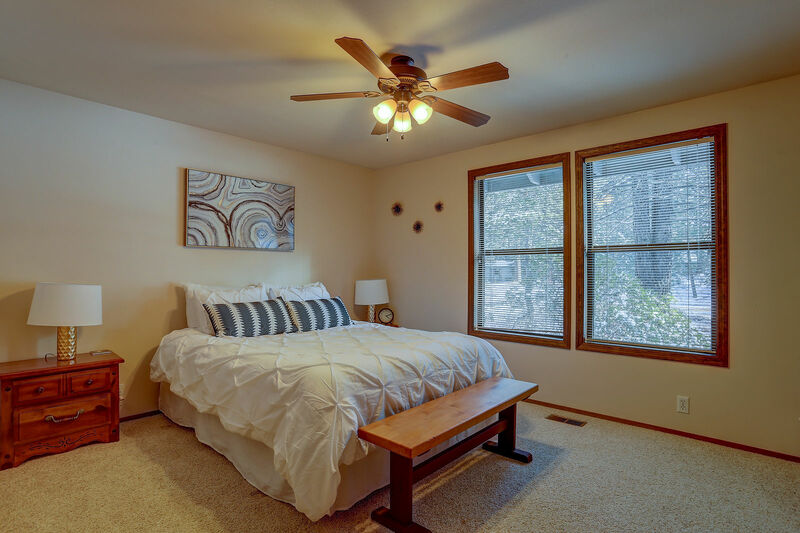 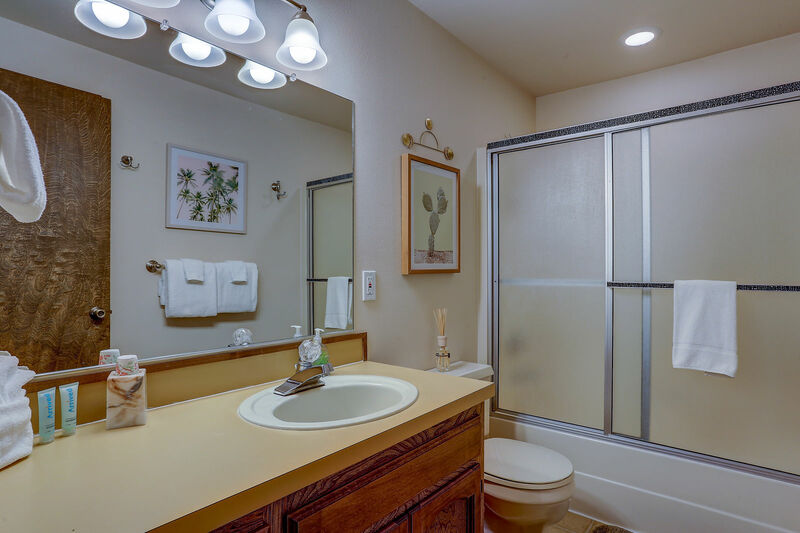 Enjoy this 4 bedroom, 2.5 bath home with clear cedar wall & ceiling accents & a main level master suite, plus Jr. Suite w/ Jack n' Jill full bath. 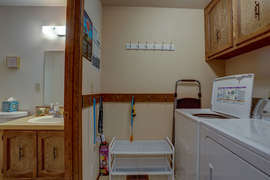 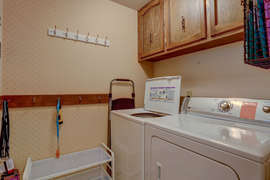 Off the kitchen and laundry room is an additional powder bathroom. 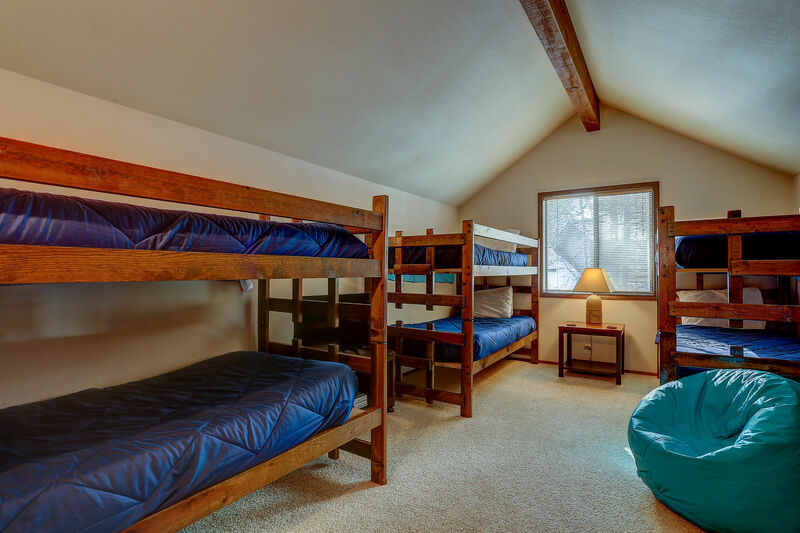 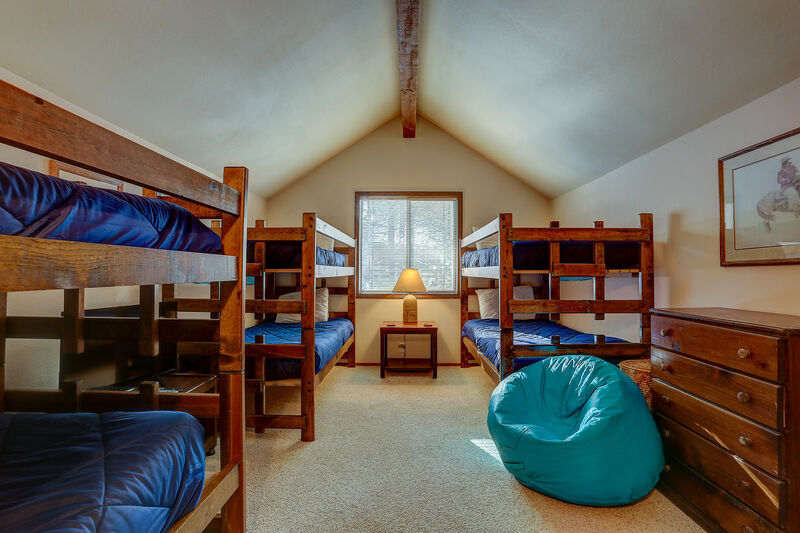 Upstairs you will find 2 more guest bedrooms & an oversized loft area that serves as a great kid area or 5th sleeping area. 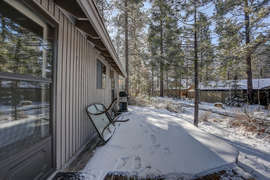 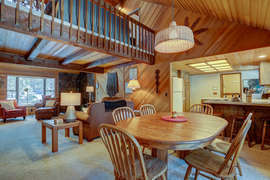 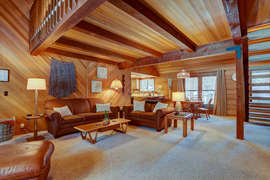 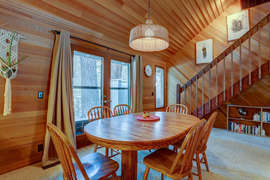 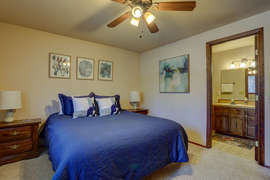 This home is less than 1/2 mile from SHARC and The Village, and includes 8 SHARC passes. 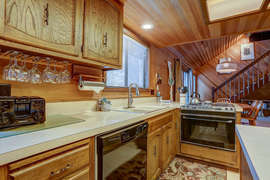 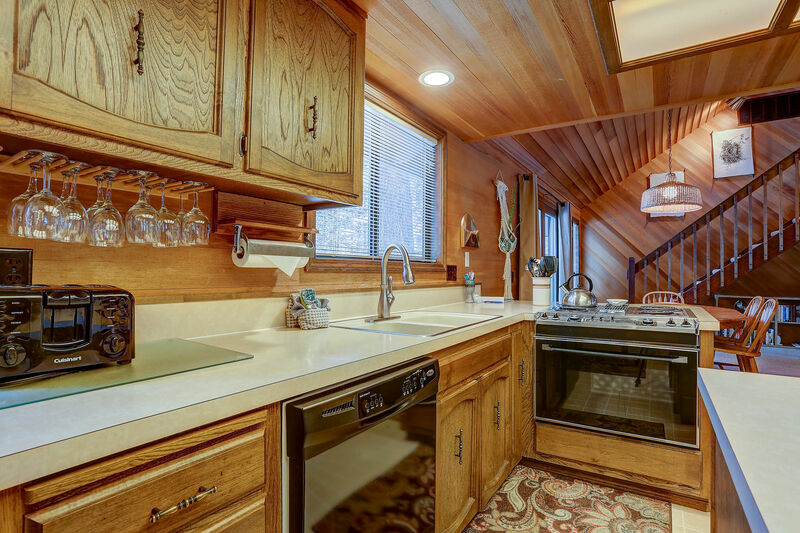 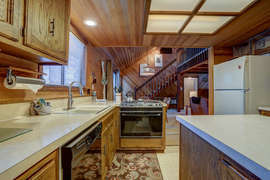 This cabin also features a woodstove, over-sized carport & private hot tub! 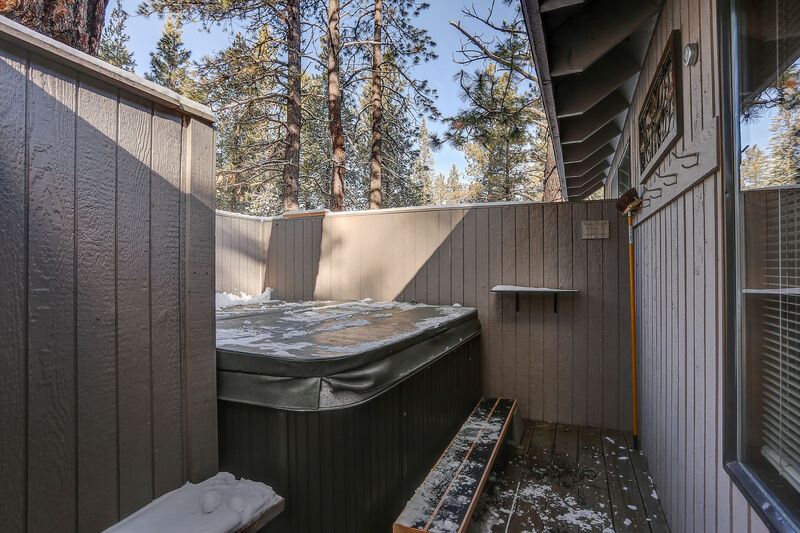 Enjoy the cozy wood stove on those cold Central Oregon evenings, soak in the hot tub, or use the bikes provided and hop on the conveniently located bike path. Plan your vacation at 3 Jay Lane!